I hope you all had a wonderful Christmas with family and friends. I am writing from Michigan enjoying the tail end of a few days with Sue’s mother and brothers. It has been a restful time but we are looking forward to getting back to Inlet and anticipating a wonderful new year of ministry. 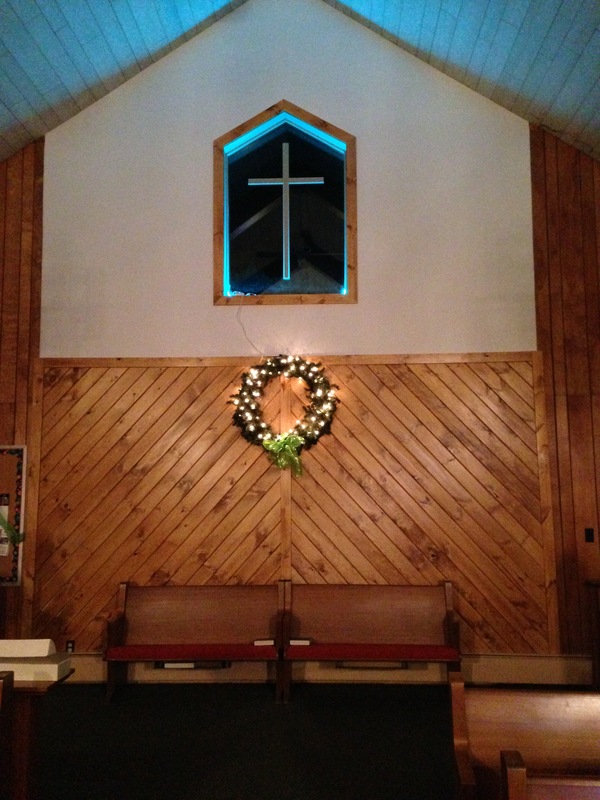 I wanted to share a few photos of the sanctuary. The first photo is of the back of the church. The work that was begun in the spring on the back wall has been completed and looks wonderful. The window has LED lights that illumine the cross at night. We’ve already noticed the difference in insulation, finding the church too warm by the end of the service depending on the volume of hot air produced by the pastor. A big thank you to Ron Leszyk for spearheading the remodel. The second photo is of the front of the sanctuary, decorated for Christmas. The photo was taken just before the Christmas Eve service. 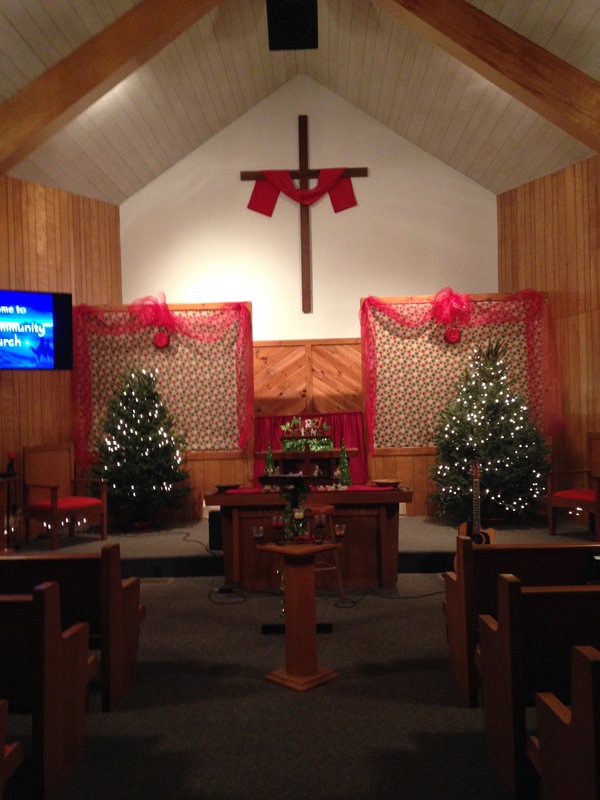 Special thank you to Jennifer Lamphear and family for the holiday décor. The third photo is of the Christmas Eve service, a candlelight service in which we looked at Isaiah’s prophecy that “The people walking in darkness have seen a great light; on those living in the land of deep darkness a light has dawned” (Isaiah 9:2). 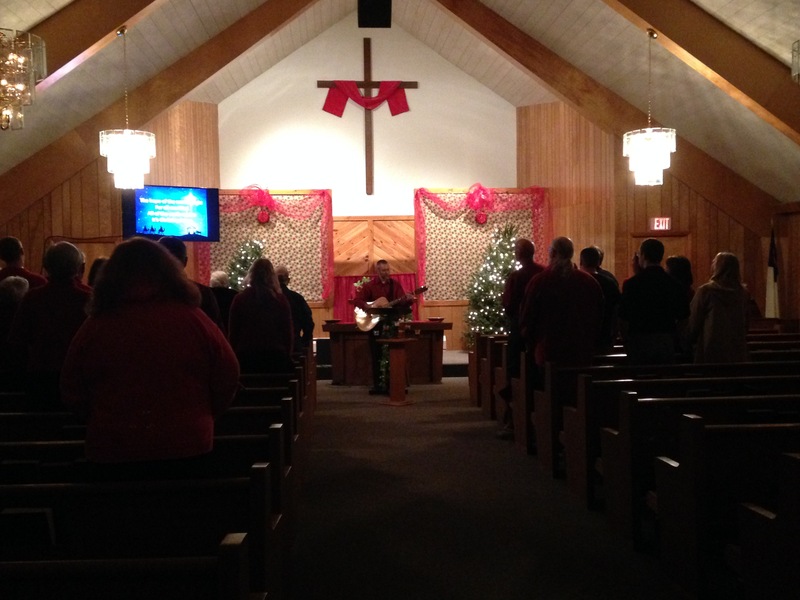 It was a special service as we turned our thoughts to the meaning of Christmas. 2014 was a wonderful year for our family and we are exceedingly grateful that God has lead us to Inlet. We’re looking forward to what 2015 holds in store. Have a happy New Year. I look forward to seeing you soon.